If you write science fiction, fantasy, or other ‘speculative’ fiction, science fiction conventions are a great way to promote your stories, improve your skills, and network with other authors. They can be difficult to find, but are well worth the effort. I’m not talking about the huge for-profit media cons you see in the news. They’re organized around a mass-market fandom- mainstream comics, anime, tv series, or movie franchises. They often hire actors from the show to appear, and fans can pay to get an autograph or have a photo taken with the stars. If they don’t have a strong literary focus, they’re probably not a good venue for a developing author. By contrast, the ‘traditional’ SF cons are volunteer run by fans, for fans. They sell “memberships” instead of “tickets”, emphasizing that the attendees are active participants. They have their roots in SF and fantasy literature some of these cons started well before the first Star Trek episode aired! Best of all, it can be relatively easy and inexpensive to establish a presence and author reputation at these cons, if you’re willing to approach them in the right way. Because they’re volunteer-run, these cons don’t have advertising budgets, and the seldom get any media attention. It’s common for them to have punning names- ConFusion, ConClave, or CONvergence, which can make them hard to find online. If you look for lists of SF cons, you may find some in your area. But often the best way to learn about other cons is to attend one and pick up flyers for local, regional, and international events. 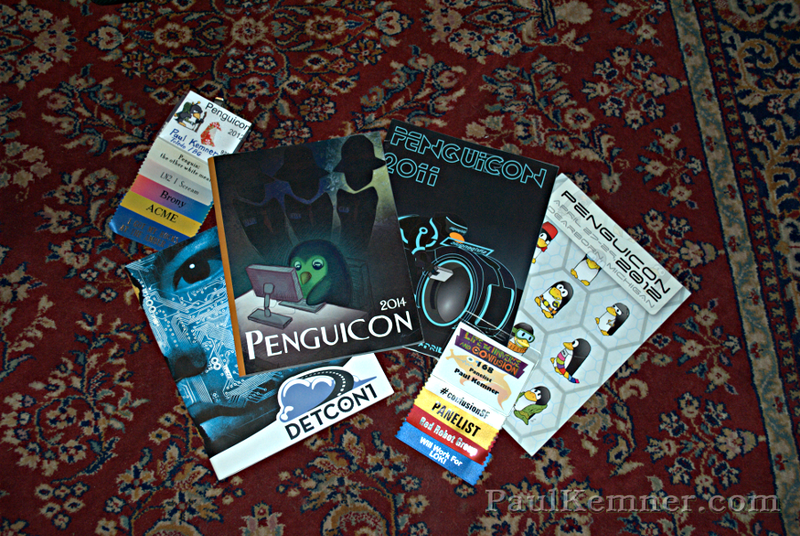 In part 2, I’ll talk about features of a typical con, and different types of con.